Starting Line finishes its analysis of Iowa’s four congressional races today by looking west to Steve King country (you can read our previous district posts here: 1st District, 2nd District, 3rd District). There’s no one Democrats would like to see go away more than King, but his reliably Republican district has always made that a near-impossible task. That hasn’t stopped people from trying, nor Democrats from getting excited about each race, and there’s always some slim reason for hope in Iowa’s 4th District. The finance reports are in, so let’s take a look at where the 4th District Democratic primary stands. Democrats have not seen a primary in the reconfigured 4th District in the three previous cycles, but this year a competitive contest has developed. 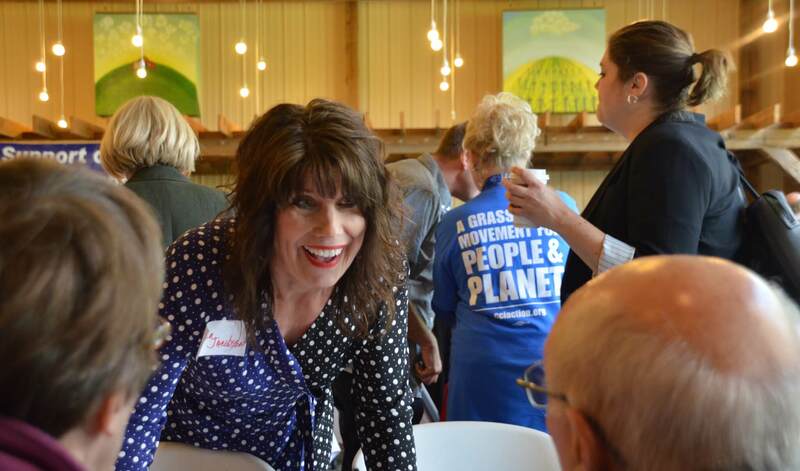 Three Democrats, all first-time candidates, are vying for the chance to defeat Steve King: small business owner Leann Jacobsen of Spencer, former baseball athlete J.D. Scholten of Sioux City and pediatrician Dr. John Paschen of Ames. A fourth person, Paul Dahl of Webster City, is traveling the district and says he’s running, but has not filed an official congressional campaign committee (much less a finance report) with the FEC. The Spencer city councilwoman and business owner starts off the primary with the most money raised and cash-on-hand. She brought in her funds mostly from Iowa and Minnesota (where she grew up). Jacobsen made good inroads into the Des Moines-area donor scene, receiving $1,000 from Pam Bookey, $1,000 from Jim Carney, $500 from Jack Hatch, $250 from Susan Judkins, $250 from Sally Pederson and $2,700 from Suzanne Levitt, a Drake Law School professor. Friends in her home of Spencer kicked in a decent amount too, with John Cotton giving $2,700 and Karen Bumgarner pitching in $500, both of Spencer. Omaha investor Norman Waitt contributed $2,500. Some other Jacobsen family members contributed over $3,000. Jacobsen herself put in $11,000 with another $608 listed from her as in-kind contributions. A key thing to watch in the 4th District race is how much each candidate gets through small donors, as running against Steve King is an easy way to draw in significant small dollar funds from around the country. Jacobsen had $14,832 in unitemized contributions (meaning under $200) and $27,635 in itemized. Her campaign expenses went mostly to one staffer and consulting costs for digital work. Former 4th District candidate Kim Weaver endorsed Scholten earlier this year in the primary, and her old lists and campaign information appear to have given Scholten a boost. $21,446 of his contributions were unitemized, compared to $18,310 itemized, meaning he starts out with a pretty strong small dollar network. The rest of his funds came from a wide variety of sources in Iowa and around the country. There were quite a few $250 and $500 checks from attorneys from New York, California and elsewhere. 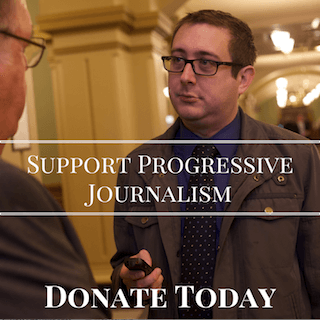 Some seem to be friends of Scholten, some are anti-Steve King donors. He got $1,000 from Edward Webber, a Seattle attorney, and $1,500 from Anthony Shapiro of D.C. $250 came in Jane Espenson, a writer for Buffy the Vampire Slayer, Battlestar Galactica and Game of Thrones. 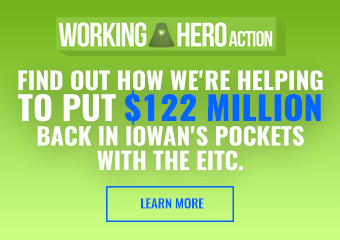 On the Iowa front, Scholten got $2,000 from Mark and Janet Rosenbury, who used to live in Sioux City, and $500 from former legislator Jean Lloyd-Jones of Iowa City. He also has his own big donor Omaha connection – Kathryn Weitz of the wealthy investing firm family cut a $1,000 check for him. Scholten’s burn rate was high, with his expenses going to three staffers and some printing services. The Ames pediatrician entered the race right at the end of the 3rd quarter filing period, so this report doesn’t show too much about his campaign yet. He got donations from two people and then loaned himself $10,000 to get started. The Democratic contest in the 4th District still feels like it’s in the early stage of the race, especially with Paschen just recently joining it. 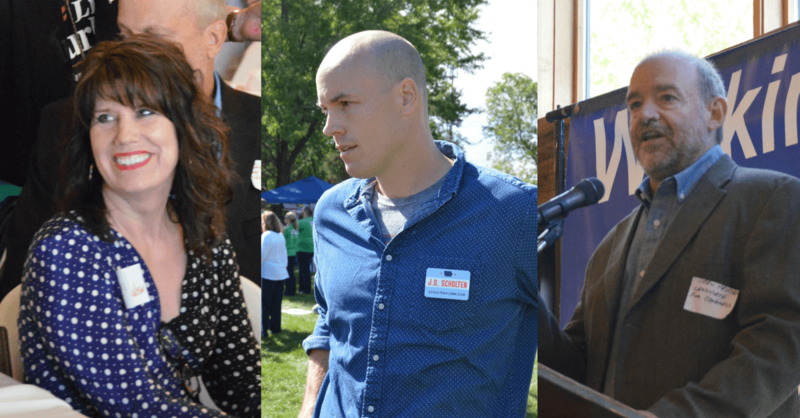 Jacbosen and Scholten begin with a several-month head start on Paschen, and both of their profiles intrigued Democrats early on. Jacobsen, a small business owner who also runs a startup incubator program, has experience in small town economic development, a background that might appeal to business Republicans who are tired of King’s antics. 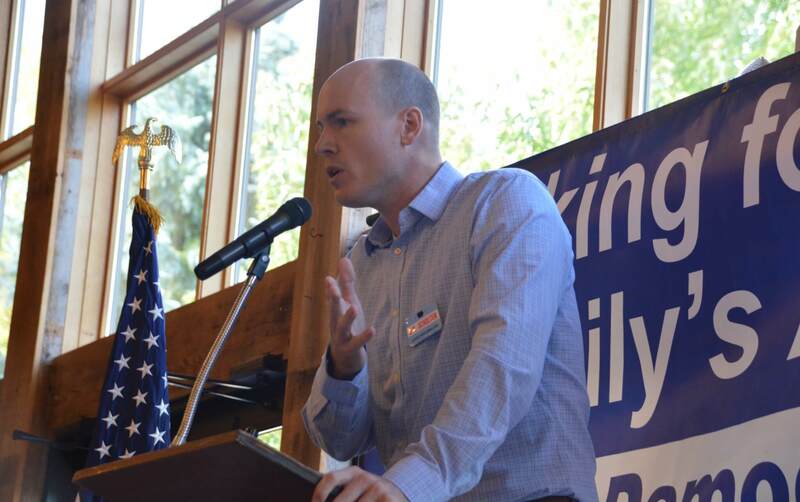 Scholten, a former baseball player, could connect with voters on a non-political level. But aside from that, it’s tough to figure out this race just yet. The 4th District is a tricky one to campaign in. It’s obviously the largest in terms of size (39 counties in all), and driving around to speak to a group of two dozen activists in a very Republican county takes time. Six different media markets cover the district, so running TV ads can be difficult and inefficient. Even with well-run campaigns, there may be a lot of Democrats going to the polls next June without deep knowledge of all three candidates. On the geographical front, Paschen has the strongest advantage. He’s from Story County, the most-Democratic county in the district that will provide more primary votes than any other. During the 2006 gubernatorial pimary (I’m using that year to compare since both will feature highly-competitive top-of-ticket races) Story County Democrats cast 4,959 votes compared to 2,143 in Woodbury County. Senator Herman Quirmbach endorsed him (even though Paschen’s wife primary-ed Quirmbach, so no hard feelings there apparently), and Representative Beth Wessel-Kroeschell, along with many other Ames activist leaders, are backing him as well. Scholten’s home base is Sioux City, the biggest population center, and he has personal and family connections to several other counties in the district. Jacobsen’s Spencer is smaller, but there’s a collection of Democratic-leaning large towns in north-central Iowa near her. When it comes to fundraising, an important part of any 4th District bid is having your social media operation and small donor network primed and ready for the next inevitable awful thing that Steve King says. Kim Weaver’s fundraising exploded in March after King’s tweet about “somebody else’s babies,” bringing in just under $140,000 in eight days. But although King often makes outlandish statements that attract national outrage, raising money off of it isn’t automatic. It wasn’t until Weaver’s second bid that she got a huge fundraising windfall in a week’s time off a King controversy. What it essentially boils down to is the ability to go viral in just the right moment. Weaver’s tweets criticizing King’s comments and pointing out that she was the Democrat thinking of taking him on in 2018 spread far and wide across the internet. But it’s much more likely for that to happen if you already have a large social media following, which took Weaver years to build up to that point. 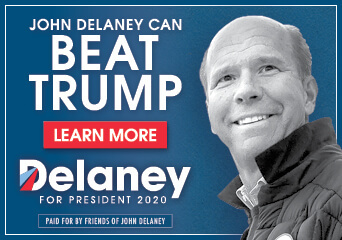 It probably won’t matter too much that there’s three people in the race when it comes to national Democratic activists chipping in money, as they’ll probably give to whomever’s social media posts they see first. Scholten starts out with the best infrastructure to make this happen. Thanks to Weaver’s support, he has a pretty good social media following and lists of potential donors. Jacobsen has a good digital media firm working for her, and could probably capitalize on a King event if needed. Still, it’s an odd dynamic for any campaign – not ever knowing if you’re going to suddenly raise $200,000 in one month thanks to an outrageous King statement or not. That’s part of what makes this primary hard to predict: next week a tweet by Paschen asking for money to defeat King could go viral and nab him six figures. Or it could be Jacobsen’s. Or Scholten’s. In the meantime, each will need to work the traditional fundraising lines to build out their campaigns. Scholten’s initial focus in the campaign was traveling the district, and he’s hit 37 of 39 counties so far. He’s recently hired an experienced fundraiser and plans on focusing in more on that in the next quarter. 75% of Jacobsen’s money came from in-state, so she’s established a good Iowa base she can return to often. We’ll have to wait until the next fundraising report to see what Paschen’s capabilities are, but you’d think a doctor from Ames could raise a few bucks. One other factor that could come into play is gender: Jacobsen will be the only woman in a three-person race (I doubt Dahl makes the ballot). Democrats like to vote for women, and I always remind people about the 2006 Secretary of Agriculture primary in which Dusky Terry lost to Denise O’Brien. 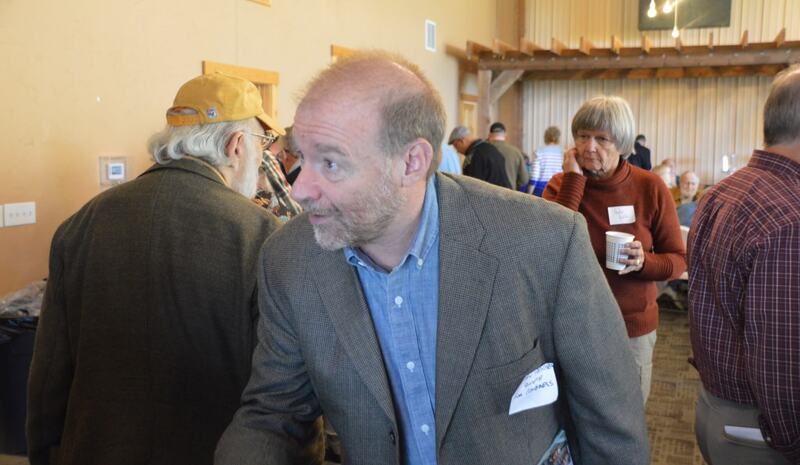 Terry was well-funded, a rising star in the party (even mentioned as a future governor) and well-respected in the progressive farmers’ movement. But there were almost no women on the Democratic primary ballot that year, and O’Brien benefited big from that. There will be more options for female candidates in the gubernatorial and secretary of state race this year, but Jacobsen should benefit some from women voters. After easily dispatching State Senator Rick Bertrand’s primary challenge in 2016, there’s not much chatter this year of a potential GOP opponent to King. So, he keeps doing what he’s always done: raising little money and giving most of it to family members. King’s fundraising list has a decent smattering of $250 and $500 donors, mostly from Iowa. Dana Meyer, a homemaker from Sioux City, contributed $2,700, as did William Metz, listed as retired, from Sioux City. Chuck Larson and Karen Slifka of LS2 Group in Des Moines gave $2,700 each too. Michael Richards, who works for Kirke Financial, maxed out. Christopher DeHappy, who appears to be the president of the American Chamber of Commerce for the Democratic Republic of Congo, maxed out at $2,700 (King has recently been doing some work in Africa). King got a handful of PAC checks, but not nearly as many as most incumbent Republicans do. The National Pro-Life Alliance PAC gave $4,000, while Gun Owners of America chipped in $2,700. Citizens United PAC gave $2,500. Most of King’s expenses went to family members Jeff and Lindsay King. As Jason Noble recently wrote in a Des Moines Register story, a significant amount of King’s campaign costs go to employ his family. Behind the scenes, this is particularly frustrating to Iowa Republicans. King causes them enough problems as is, but he also doesn’t use his safe seat and longtime incumbency advantage to help the rest of the team. Instead, he puts up meager fundraising totals each year and fails to boost turnout or help direct funds to other Republicans. That’s one reason why Democrats hope they can one day sneak up on King and defeat him – he’s lackadaisical at fundraising and might get caught unaware in a wave year with a strong challenger. Still, it’s a tough road for Democrats to pull off the upset of all upsets in Western Iowa, no matter how the national political winds blow. Jacobsen and Scholten will both speak to the Pocahontas Democrats this Saturday night at the Laurens Country Club over dinner. Tickets are $15. RSVP to 712-335-3871 and do it ASAP if you want to hear these two candidates simultaneously.